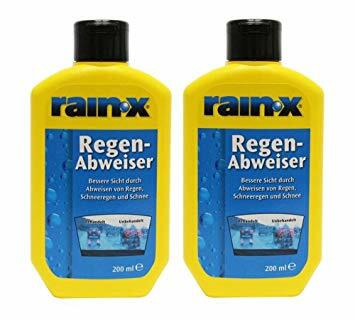 There are two types of Rain-X: regular glass and plastic. There are warnings on the glass type not to use on plastic, which our visors are made of. It can make the plastic hard and brittle, whereas the plastic Rain-X doesn't do that. Needless to say, the plastic Rain-X is far more expensive. Most of the claims about bulbs like that are just unsubstantiated marketing hype. The fact is the bulbs still have the same output power as the OEM bubs and the reflectors and lens in the headlight housing are unchanged and it is the reflectors and lens that are as important as the bulbs themselves in producing the beam of light. The manufacturers change the colour rating of the bulb slightly which gives purchasers a visual impression that the bulbs are better simply because they can see a difference. There may be some small quantifiable improvements but nothing like the claims made by the manufacturers which if you read the fine print always relate to the "minimum requirements". My 2018 Tiger 800 XRT has a tank of at least 4 imperial gallons, and I do at least 65 miles per gallon. That means I have a range of 260 miles (4 x 65). Why the hell do we mix metric and imperial? Because reactionary idiots want to keep us stuck in the Dark Ages with a medieval form of measurement instead of properly embracing metric measurements, like 99% of the world have, despite us being officially metric since 1972? Ask most people in the UK how tall they are and you will get a reply of 5ft8" 6ft2" etc the same applies to weight 12stone 6 etc. Even people in there early 20s that I work with, that have been educated with the metric system will still use some imperial measurements. As long as the USA uses imperial it will continue. The other smaller countries that use it including us, amount to only some 120Million. Gets a tad confusing when US gallons & pints are a gudly bit smaller than ours, especially when they are quoting mpg 'cos there miles are same as ours. I was amazed Airbus UK assembled imperial wing components, using imperial fasteners (UNF) in jigs manufactured in metric. The wings are transported to Toulouse to be attached to the fuselage that is made in metric. This aint gonna change overnight. Unless it has in the last 10 years. As long as the USA uses imperial it will continue. The U.S. Gummint passed a federal law - back in the early '70s - to make the country switch-over to the metric system. Years ago I had a conversation with a long-time mechanical engineer working for a multi-national company that manufactured fire-apparatus (using inches/etc.). I asked him why they weren't following the law and using metric? He answered: "We had discussions about that and decided that when it became financially beneficial we would do so." IOW, the law had no teeth -- there were no financial penalties for not switching to metric. At 61, I am the same, but I'd like to go fully metric. I do make an effort to but it's easy to slip into referring to feet and inches, and mpg and psi are rather firmly embedded. At the rate we're going, the UK will be fully metric just as civilisation is in its death throes, so our descendants will be roaming the post-apocalyptic ruins hitting each other with clubs measured in millimetres. Why? Our trade is mainly with the EU and the rest of the world. The countries retaining the imperial system (with the wrong sizes) are the US, Myanmar, and Liberia. So it makes sense to finally properly convert. Oh, and I give my height as 175cm and weight as kg.